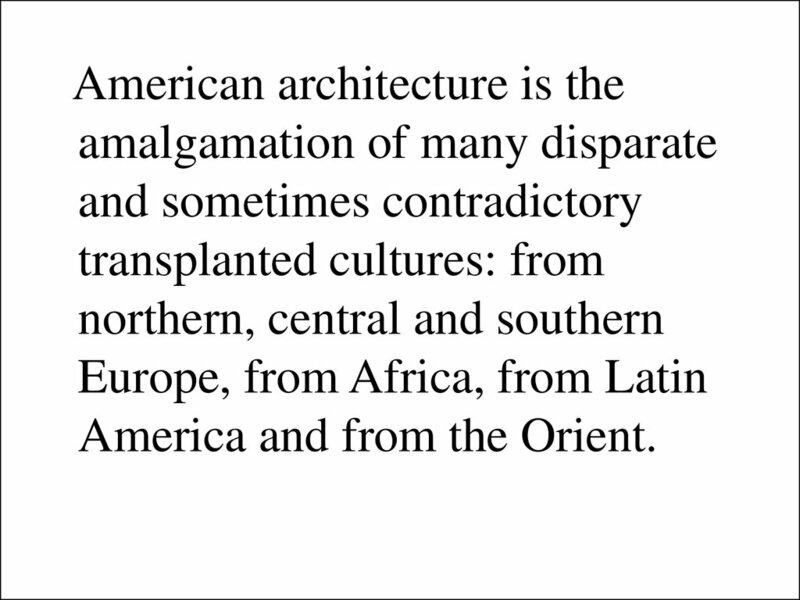 America and from the Orient. 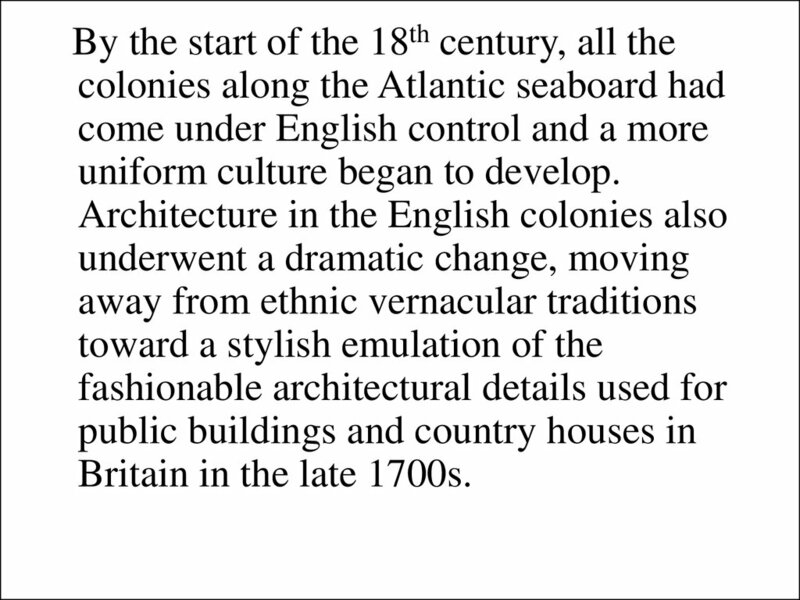 uniform culture began to develop. 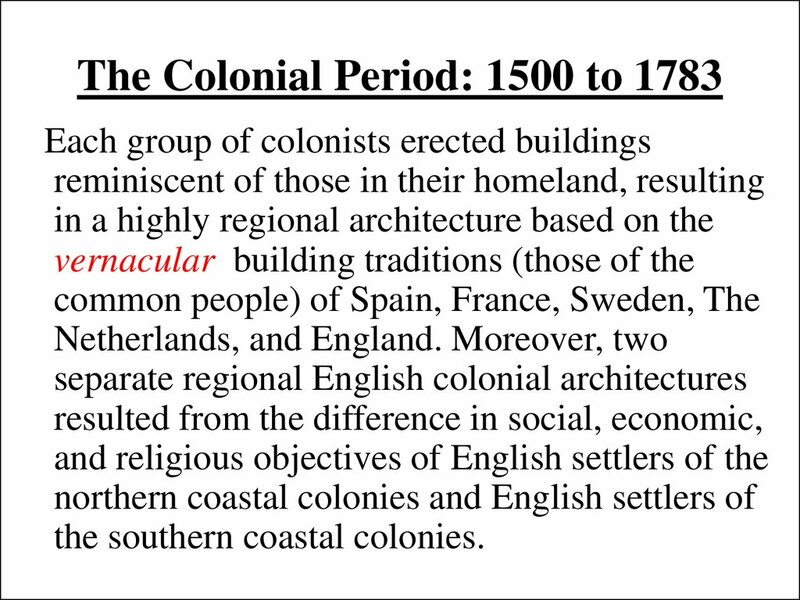 Britain in the late 1700s. 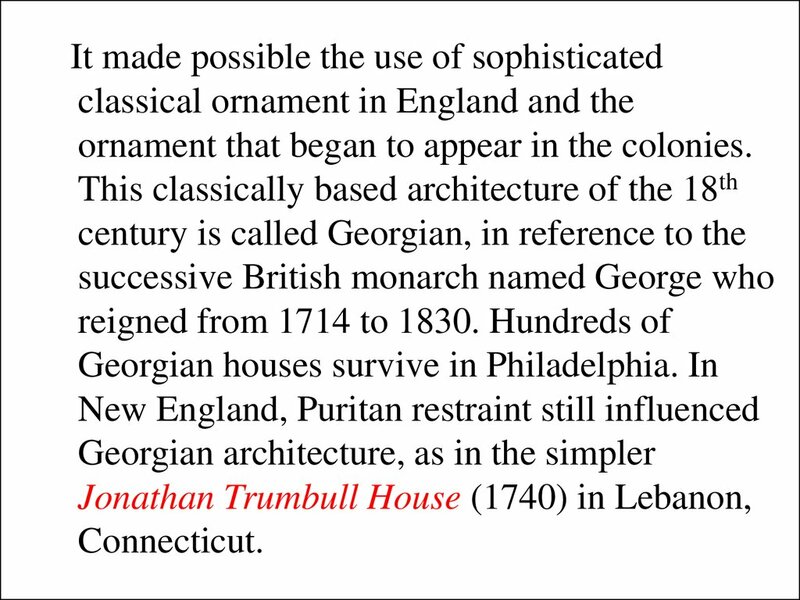 ornament that began to appear in the colonies. 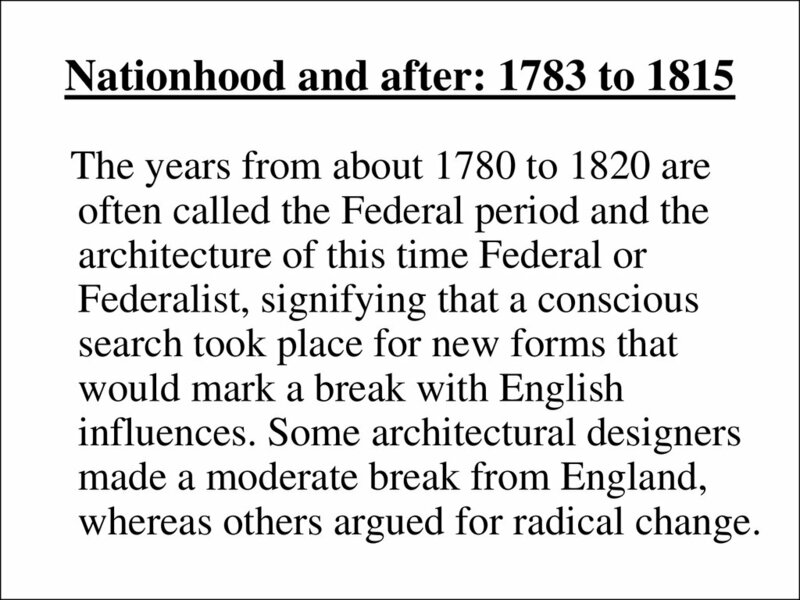 whereas others argued for radical change. 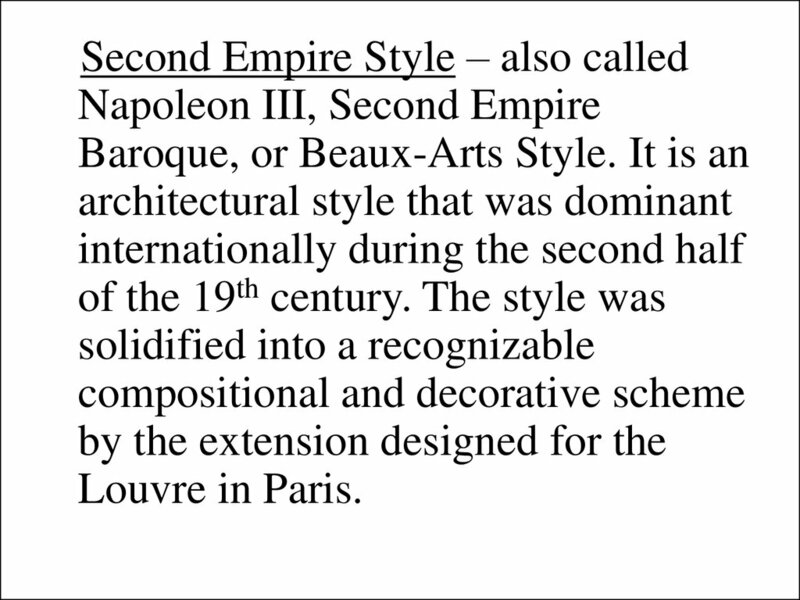 classical architecture of France and Italy. 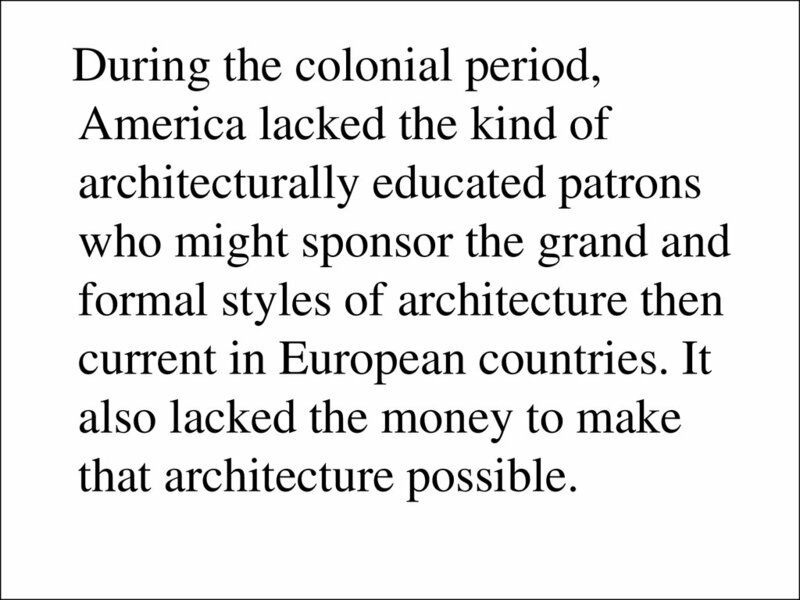 he associated with colonial rule. 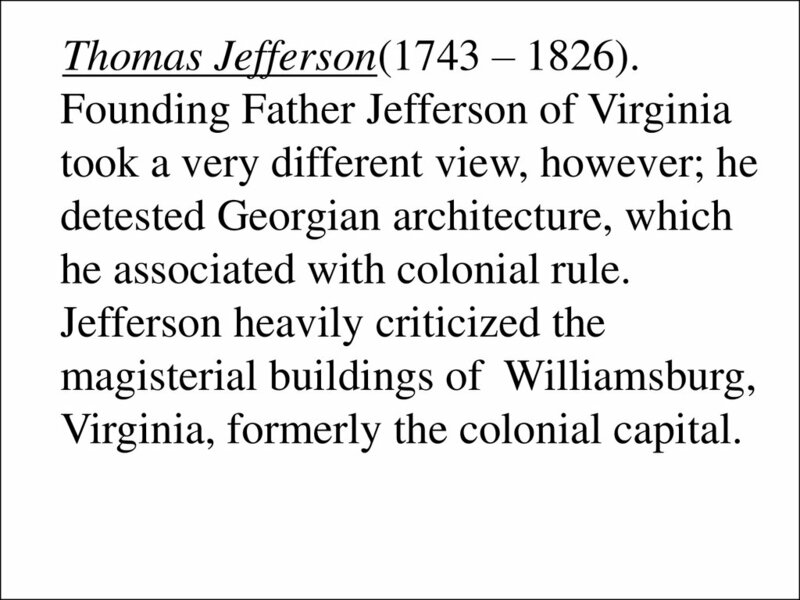 Virginia, formerly the colonial capital. 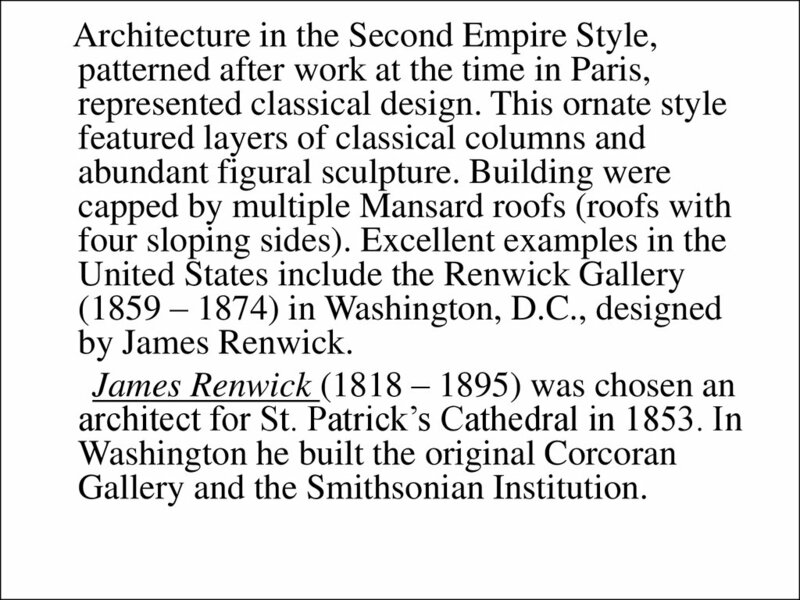 shape of columns and other building parts). 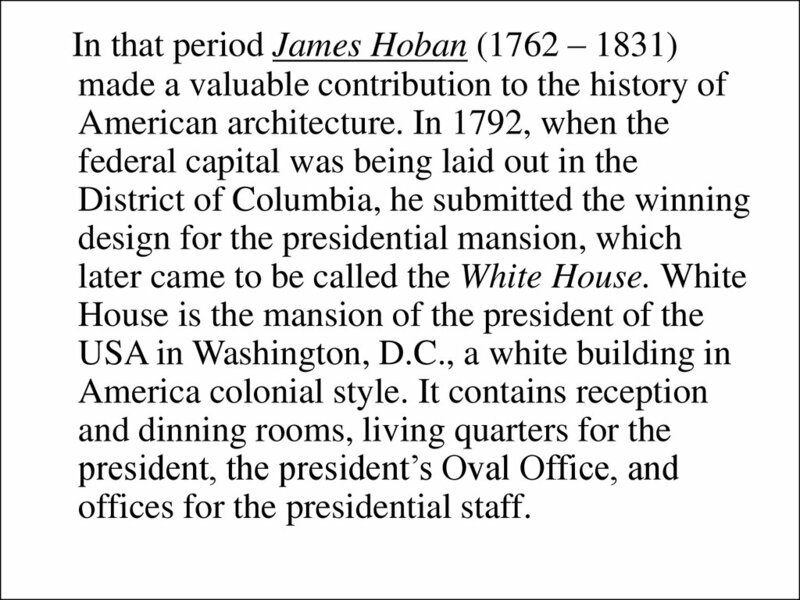 offices for the presidential staff. 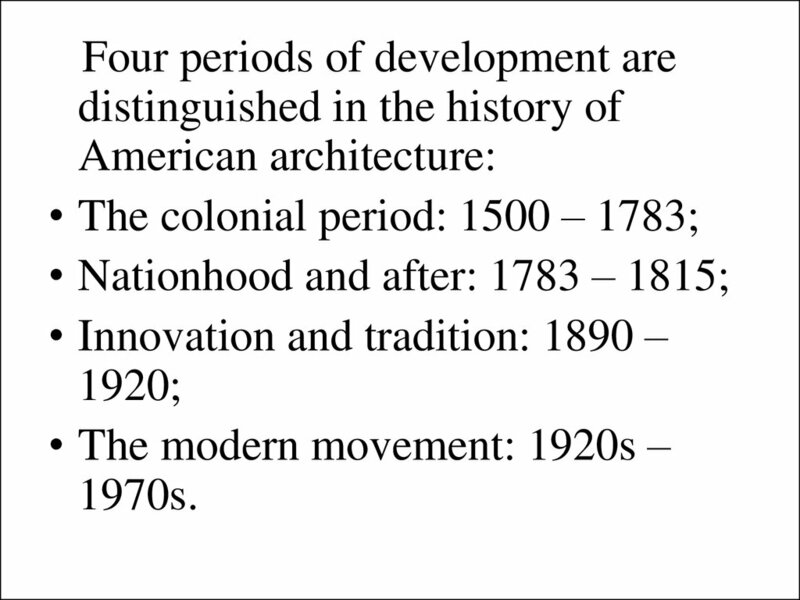 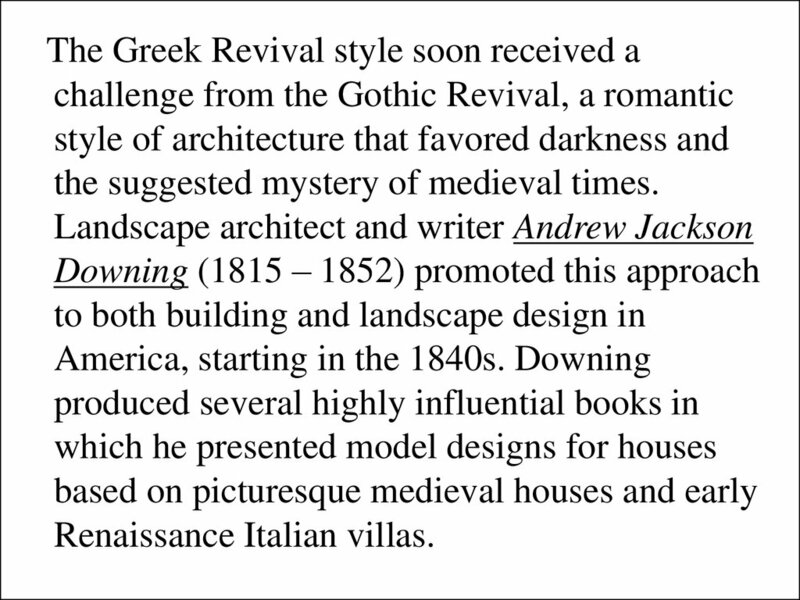 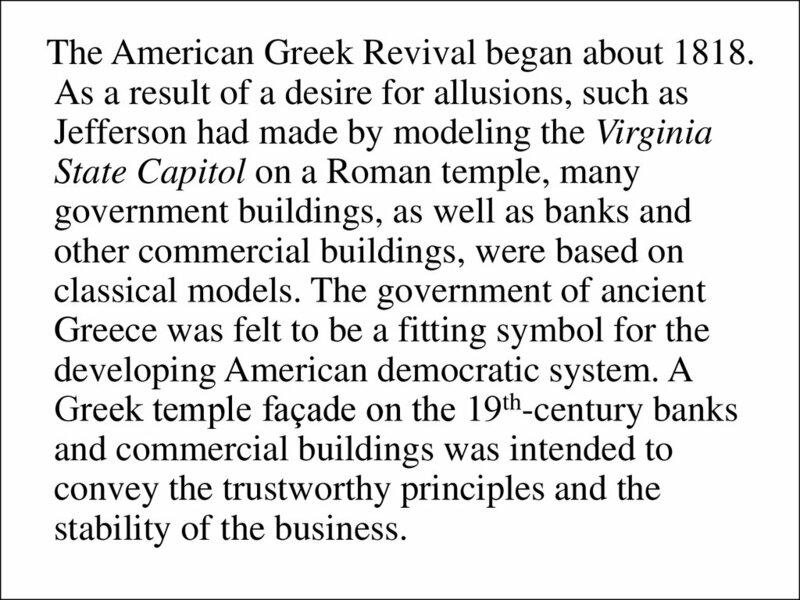 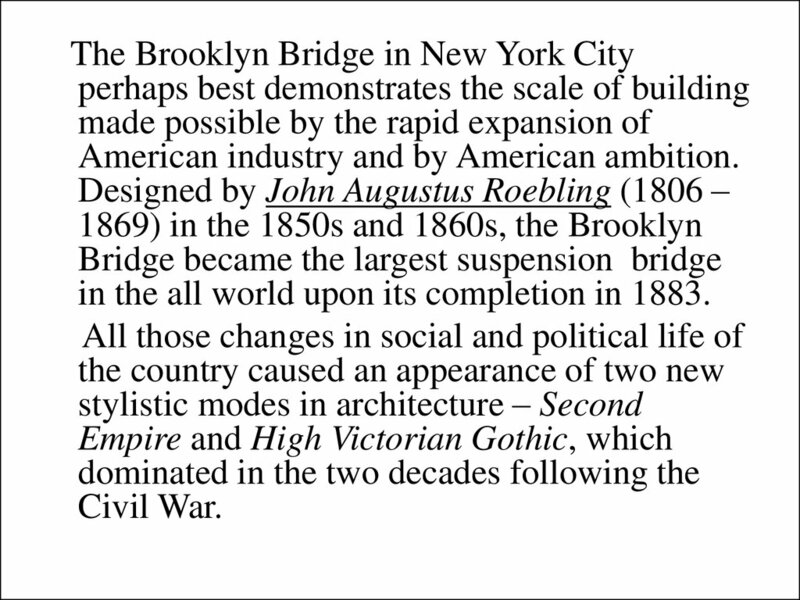 The American Greek Revival began about 1818.
the suggested mystery of medieval times. 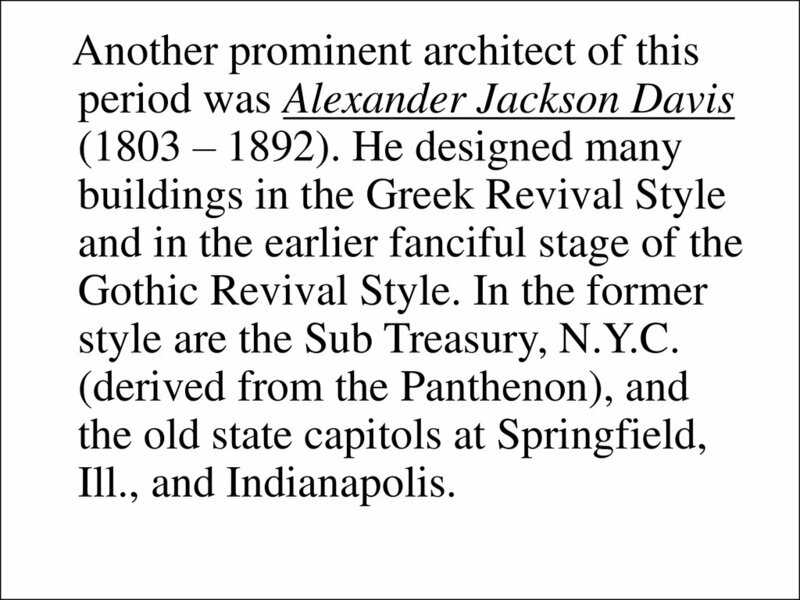 style are the Sub Treasury, N.Y.C. 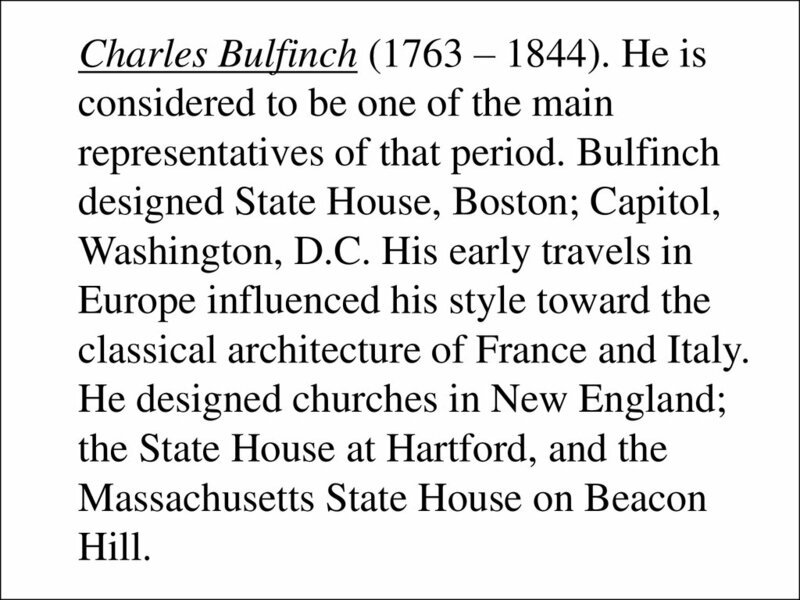 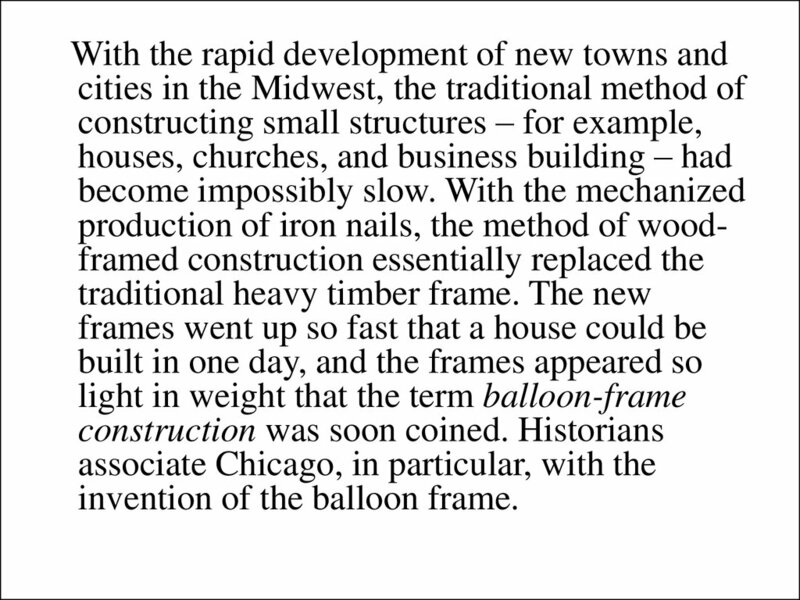 were used even for the new dome of the U.S.
Capitol (1851 – 1864) in Washington, D.C.
invention of the balloon frame. 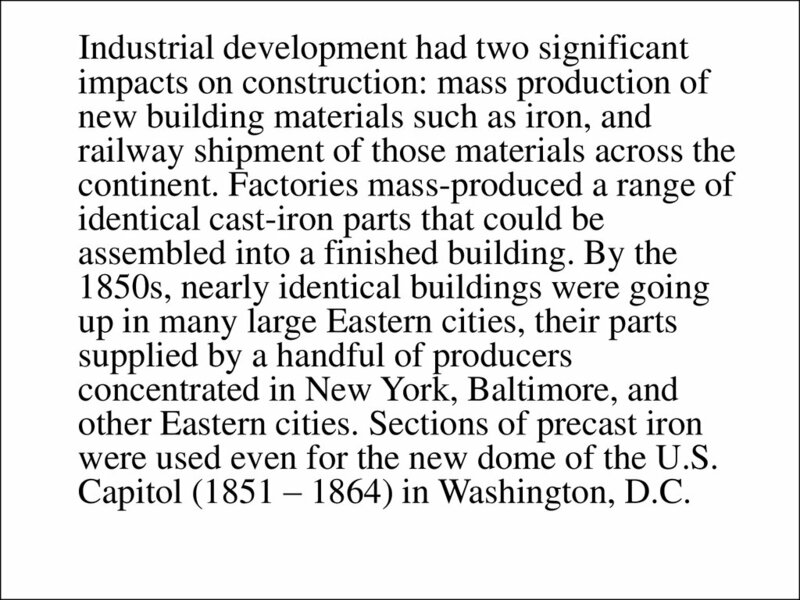 American industry and by American ambition. 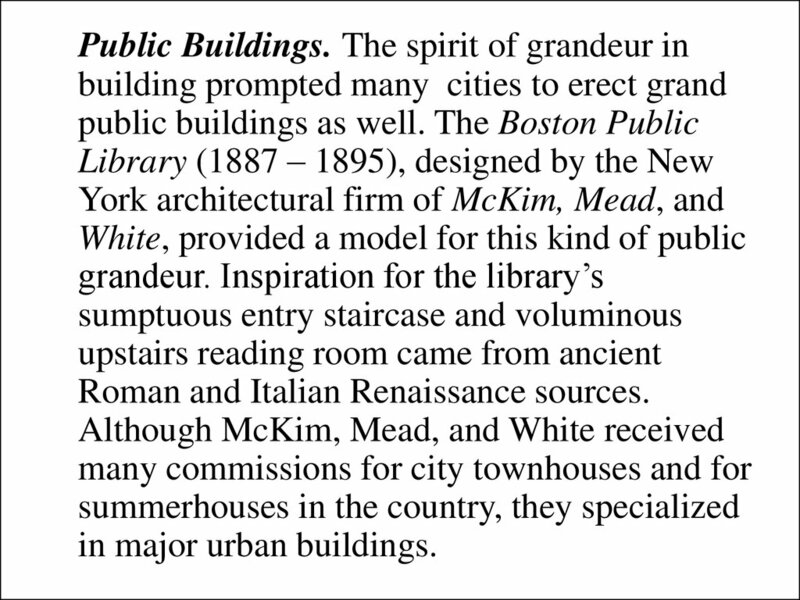 in the all world upon its completion in 1883. 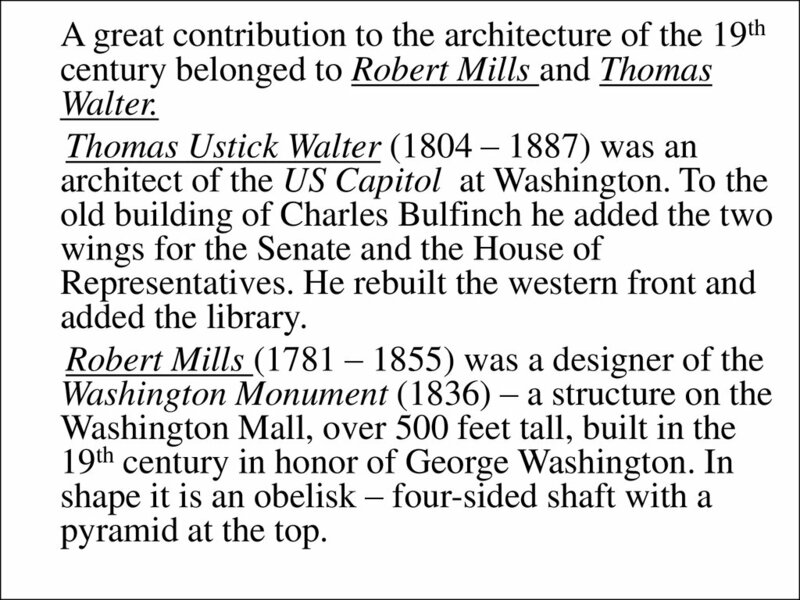 Gallery and the Smithsonian Institution. 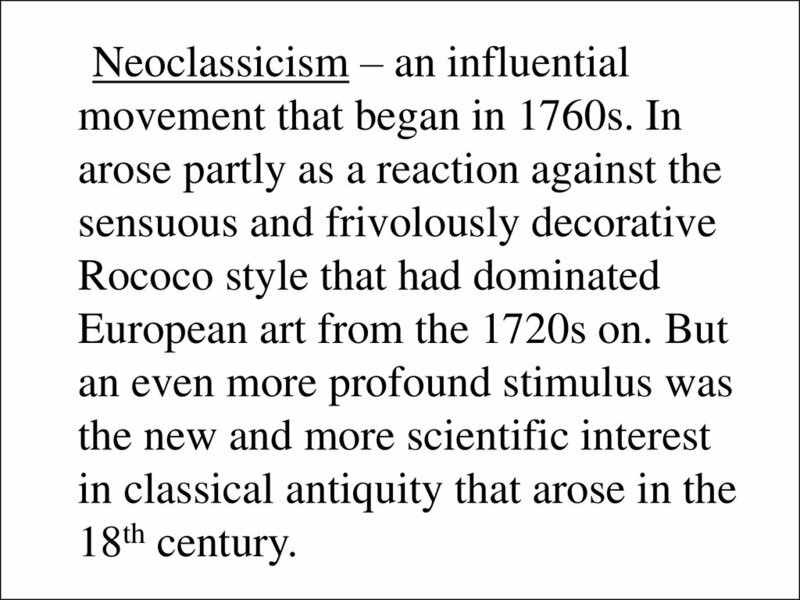 ostentatious display of wealth at that time. 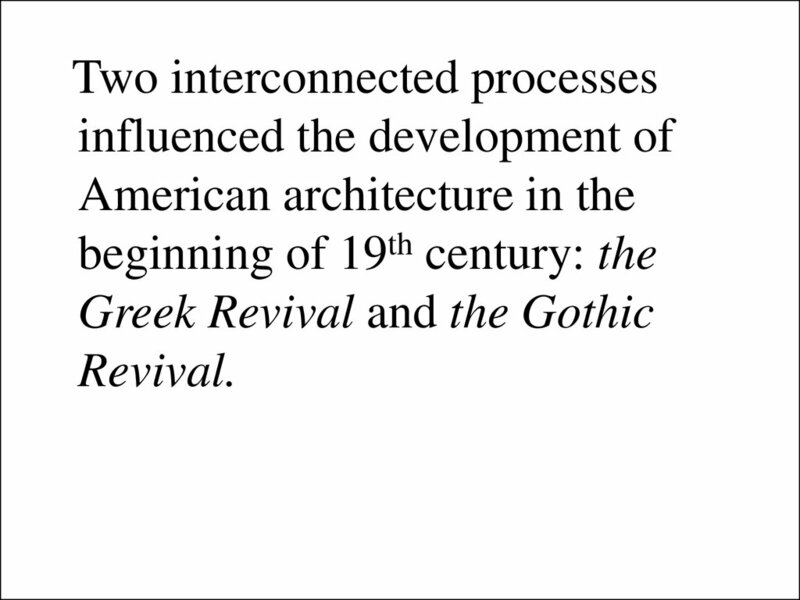 Roman and Italian Renaissance sources. 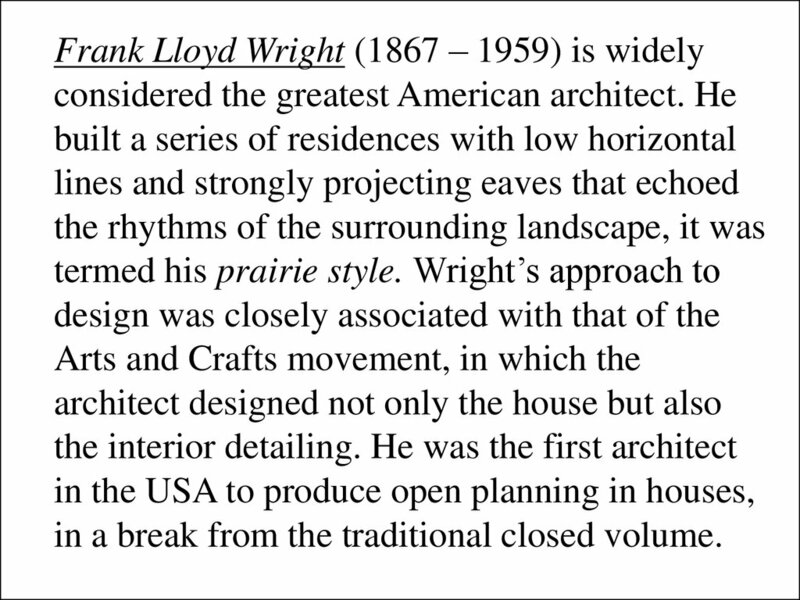 in a break from the traditional closed volume. 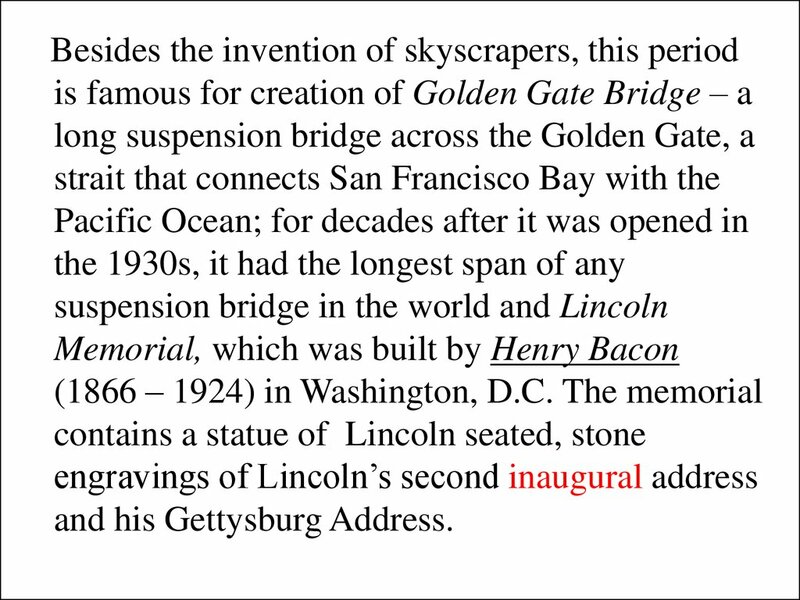 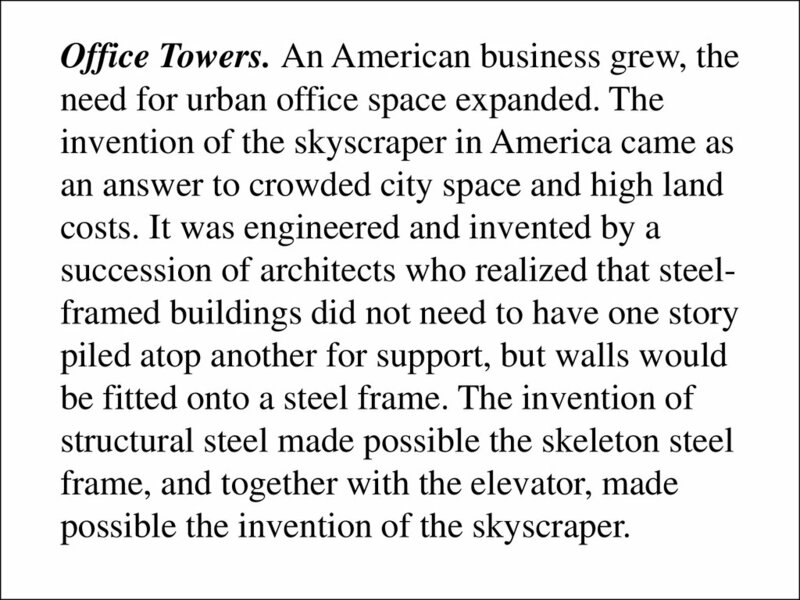 possible the invention of the skyscraper. 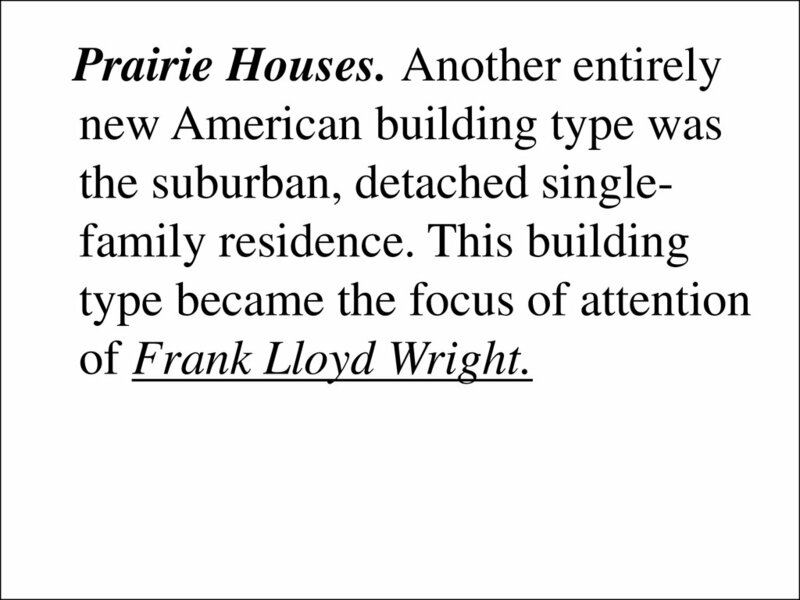 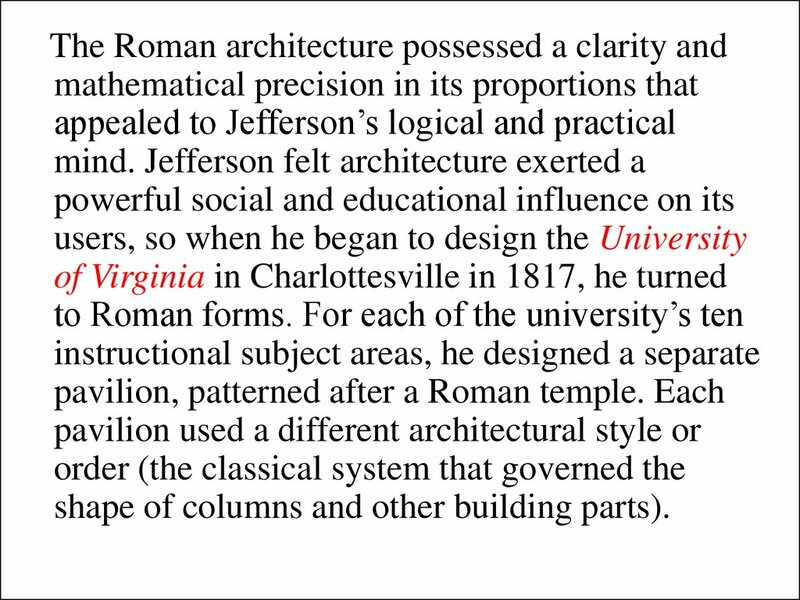 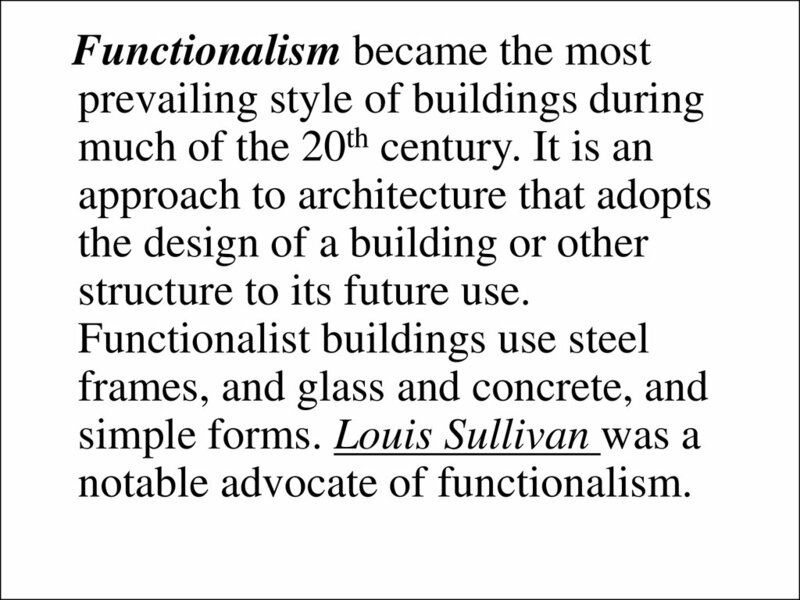 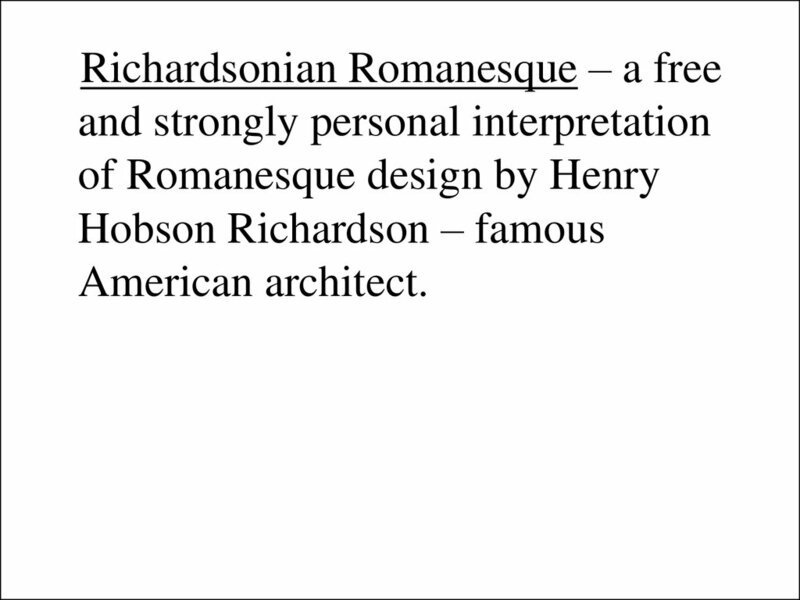 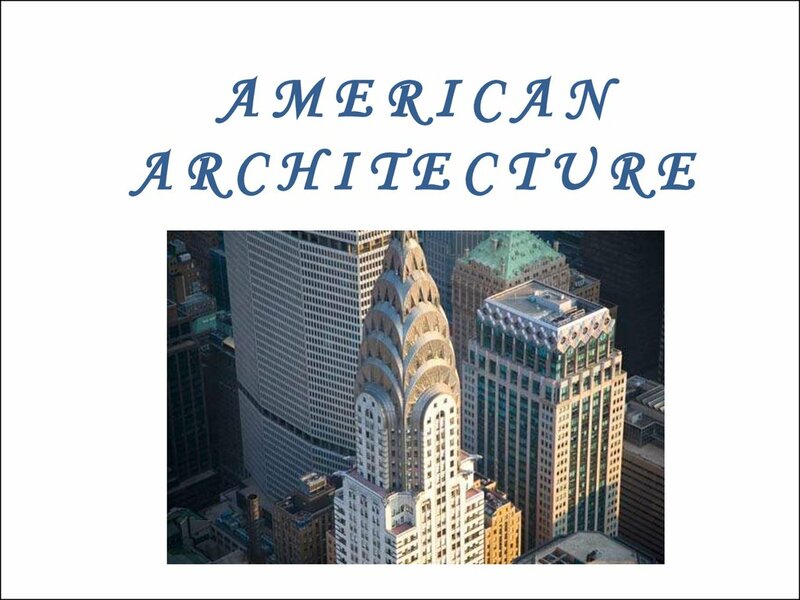 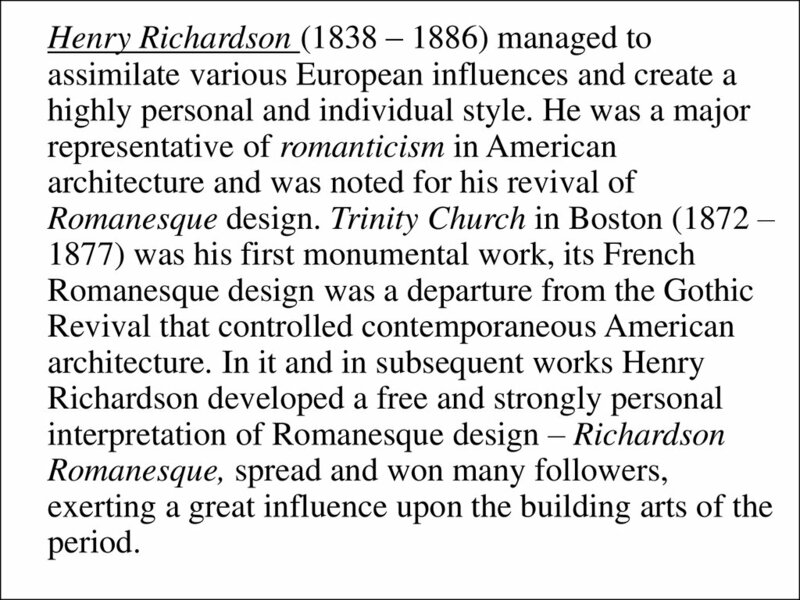 were designed by Louis Henry Sullivan. 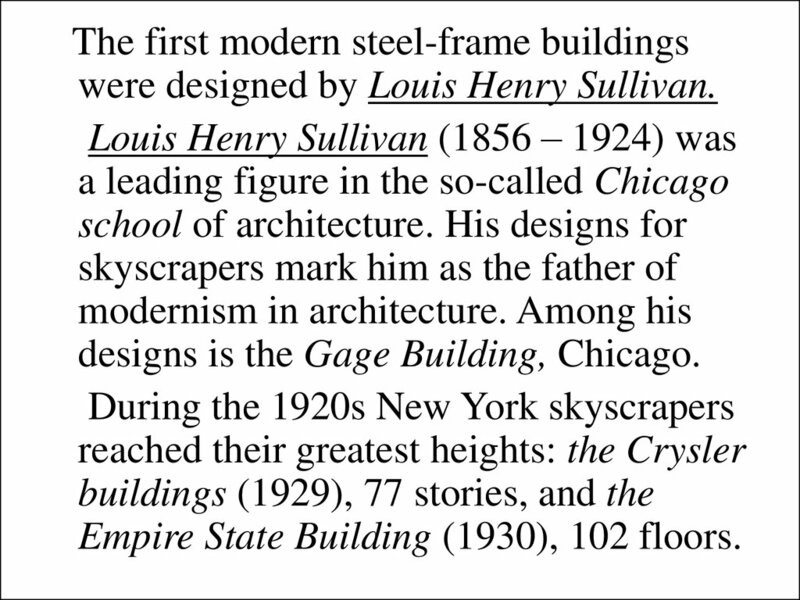 designs is the Gage Building, Chicago. 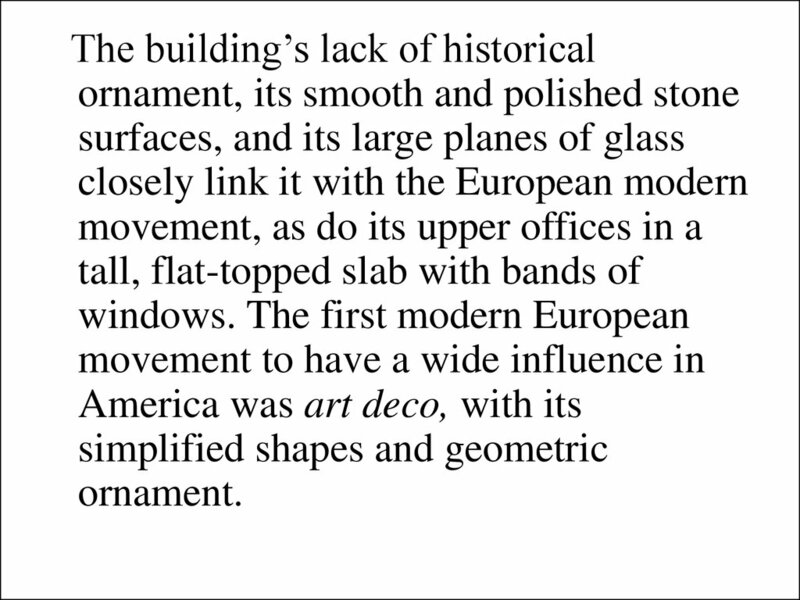 Empire State Building (1930), 102 floors. 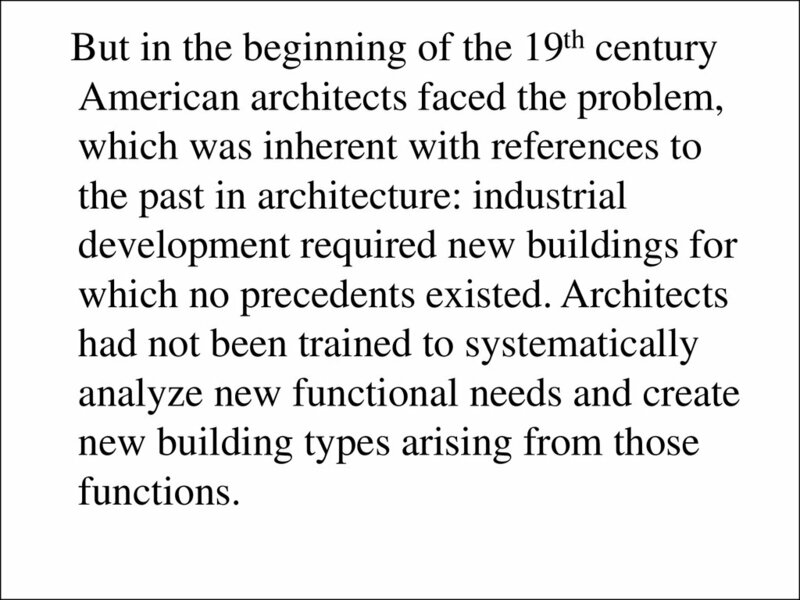 efficient architecture, stripped of virtually all ornament. 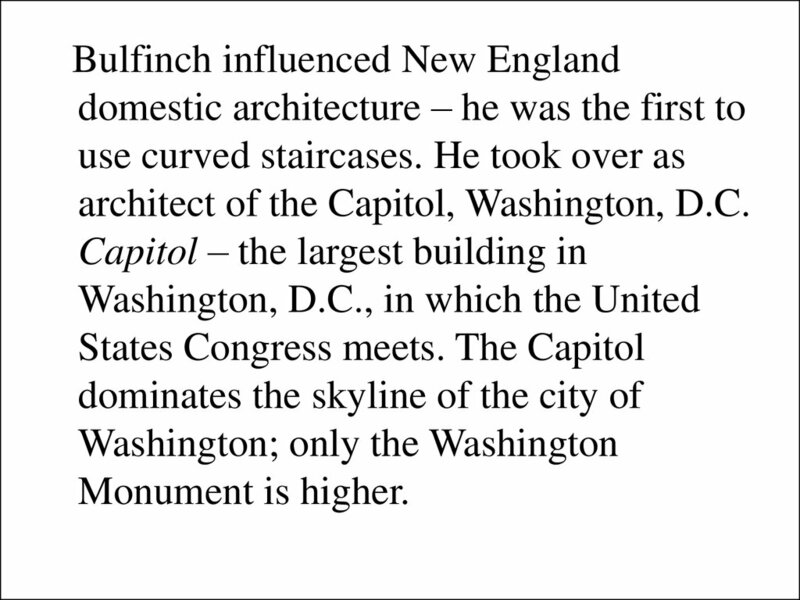 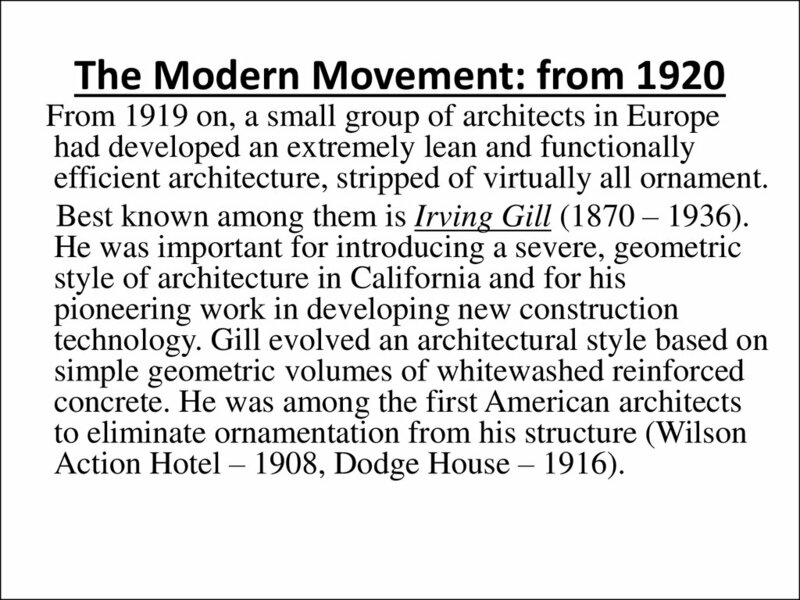 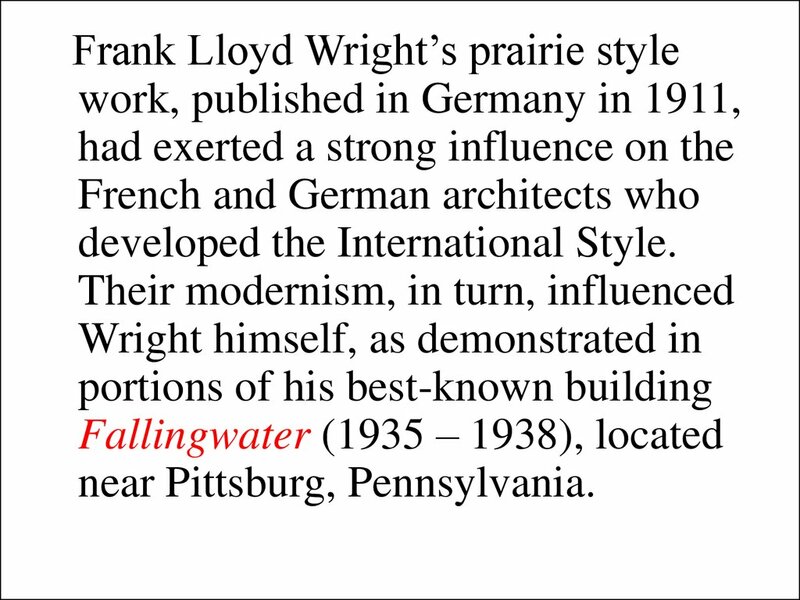 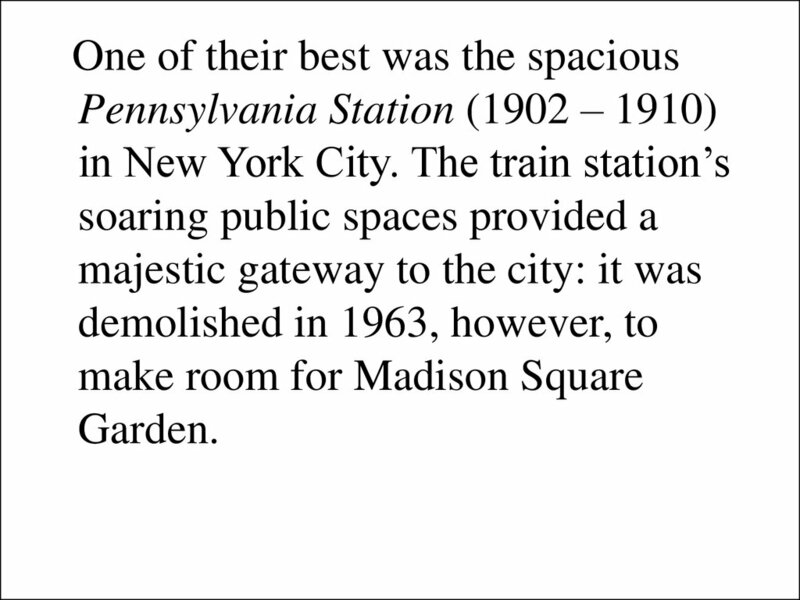 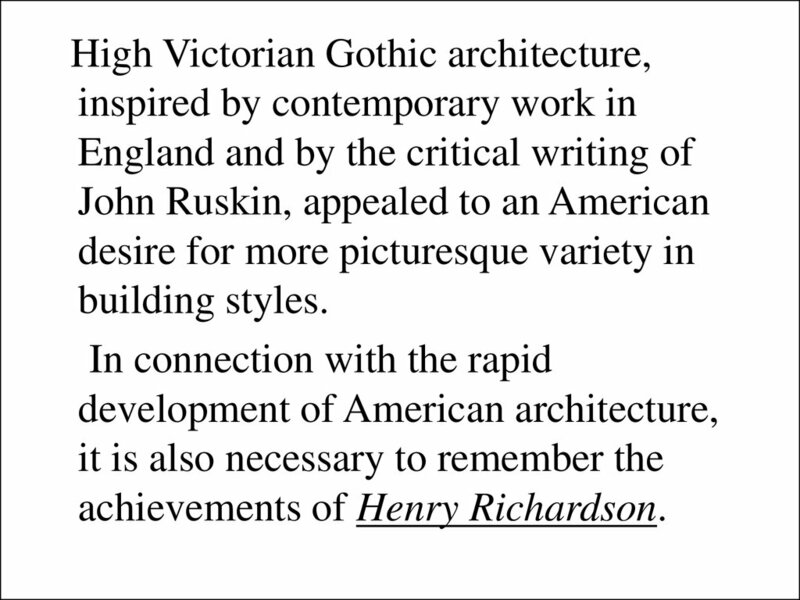 Best known among them is Irving Gill (1870 – 1936). 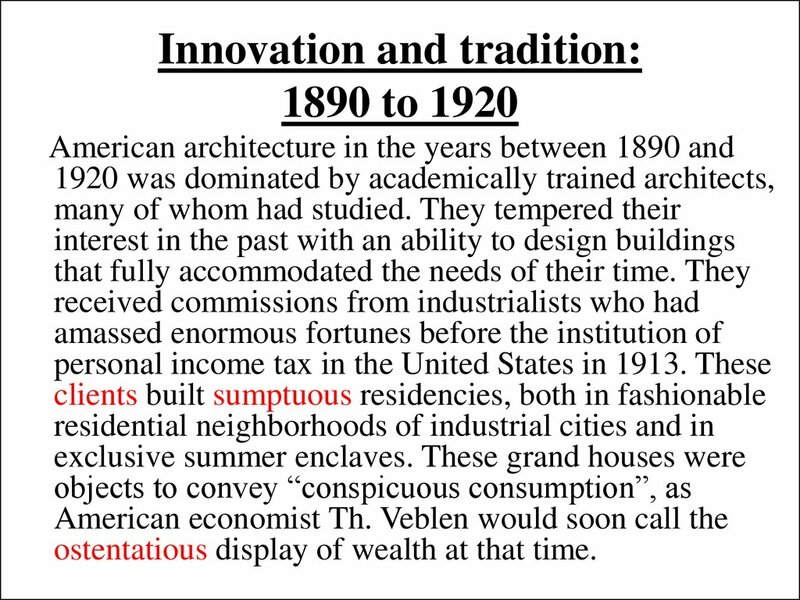 Action Hotel – 1908, Dodge House – 1916). 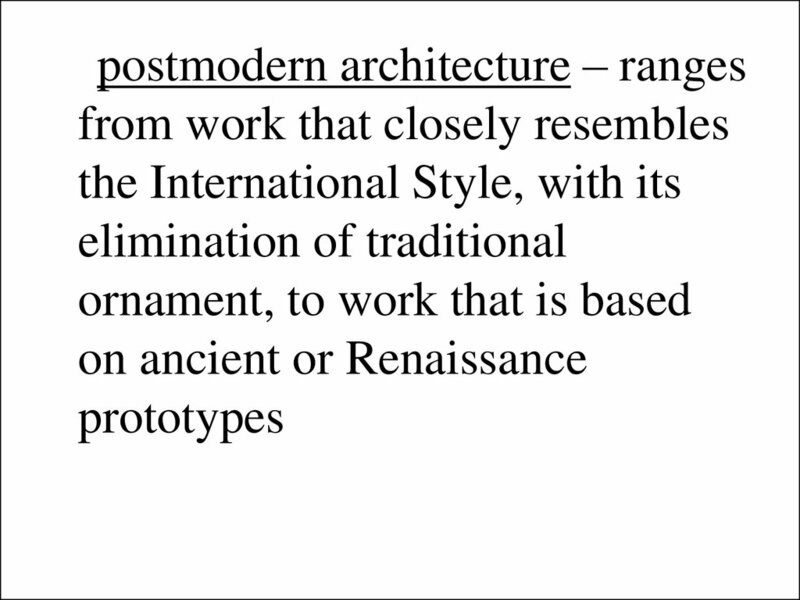 structure to its future use. 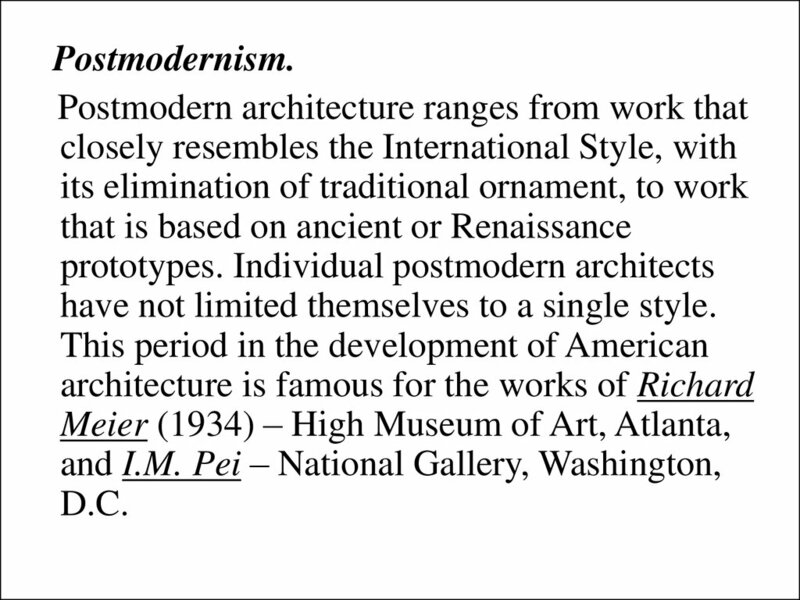 have not limited themselves to a single style. 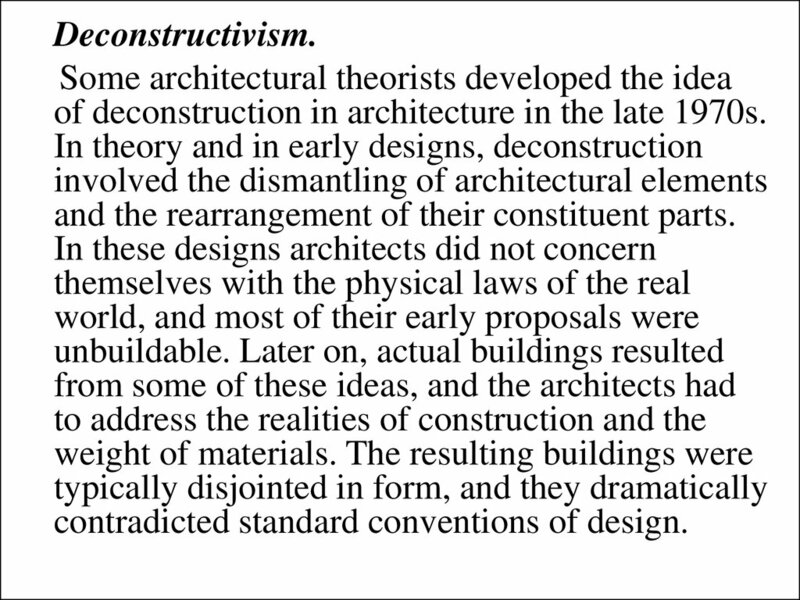 of deconstruction in architecture in the late 1970s. 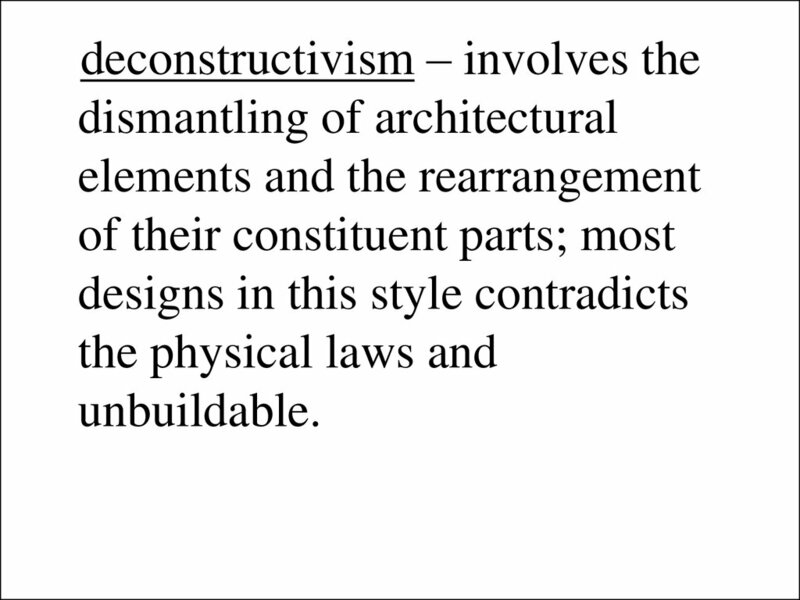 and the rearrangement of their constituent parts. 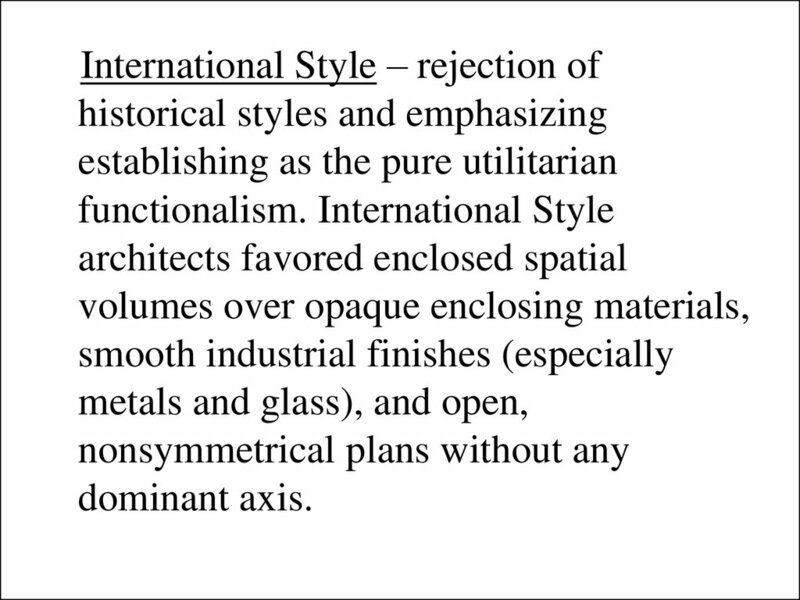 contradicted standard conventions of design. 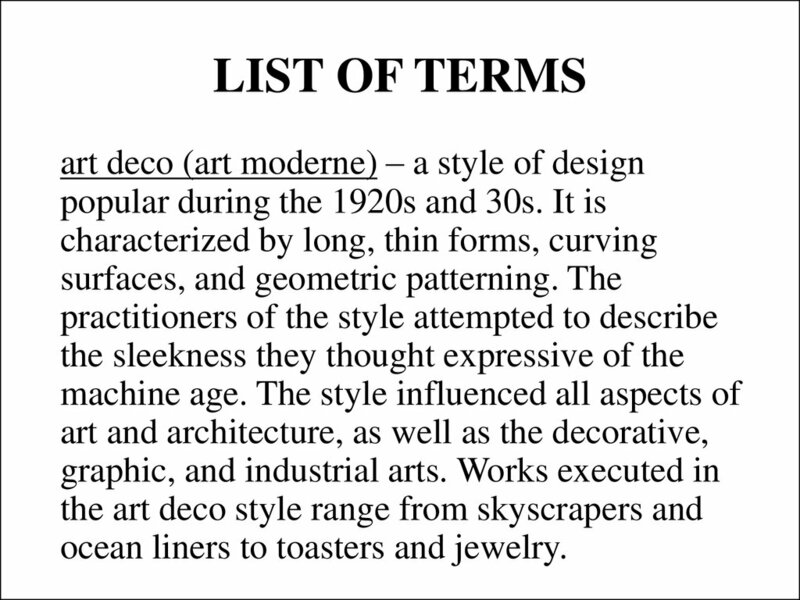 ocean liners to toasters and jewelry. 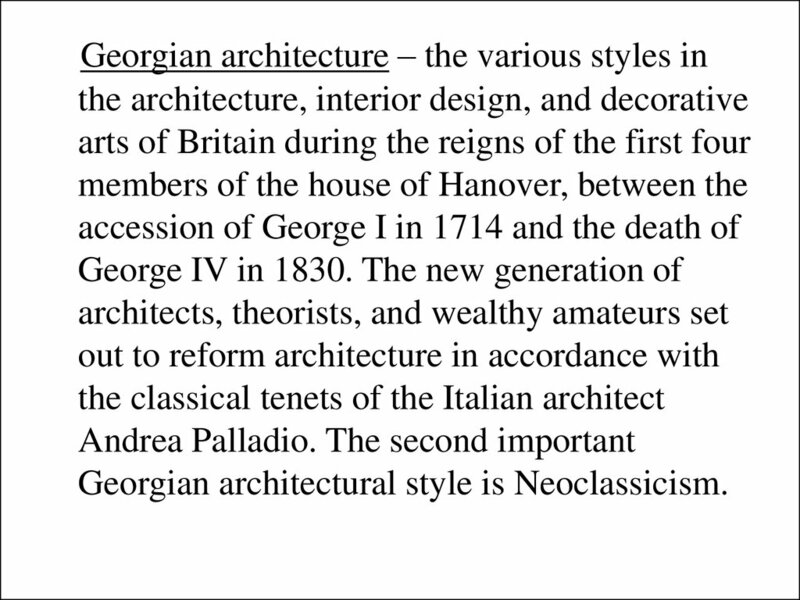 Georgian architectural style is Neoclassicism.